Ethernet Protocol has become the de-facto standard for Local Area Networks. Via Internet, connectivity is occurring everywhere from home appliances to vending machines, to testing equipment to UPS. Using Ethernet for networks in industrial areas is appealing because the required cabling is already installed. 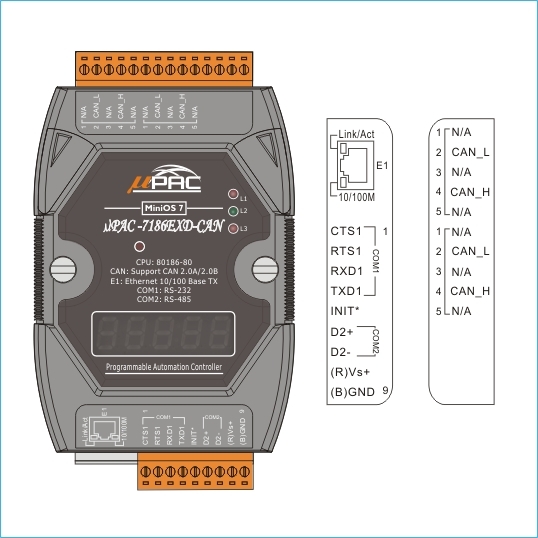 The μPAC-7186EXD-CAN PACs (Programmable Automation Controller) are powered by 80188-80 processor with 512K bytes of static RAM, and 512K bytes of Flash memory. 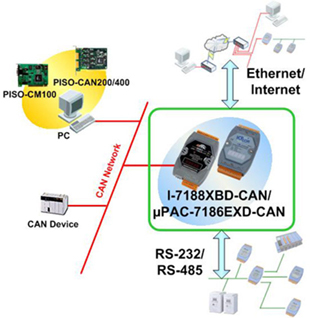 All of them provide several communication interfaces to adapt to various applications through a CAN port, RS-232 port, RS-485 port and an Ethernet interface. Users can program their applications flexibly with C/C++ language utilizing the built-in MiniOS7 operation system. The μPAC-7186EXD-CAN series PACs have different I/O types so users can match their requirements. 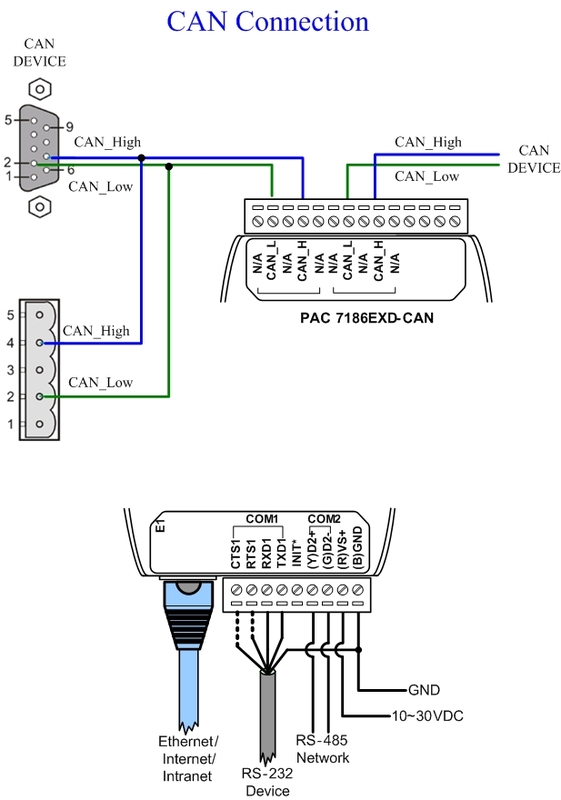 μPAC-7186EXD-CAN has no I/O channel. It is useful for transfering commands from differential communication interfaces. 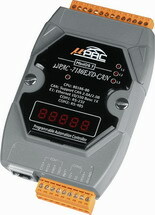 The μPAC-7186EXD-CAN series PACs are economic and convenient solutions for diversification CAN applications. 1000 VDC voltage protection on CAN side. The Software Library Provides TCP/IP Protocols & a Web Server. EERROM 16K bytes (64 blocks, each block has 256 bytes); Data retention > 100 years; 1,000,000 erase/write cycles.